Duchess Meghan: Please do not Let Me Go! Loving Scenes in Ascot. Everything is just so exciting! Duchess Meghan was the first time to accompany her Harry and the Queen to the traditional horse race in Ascot. That she was pretty nervous showed the 36-year-old with small love gestures. 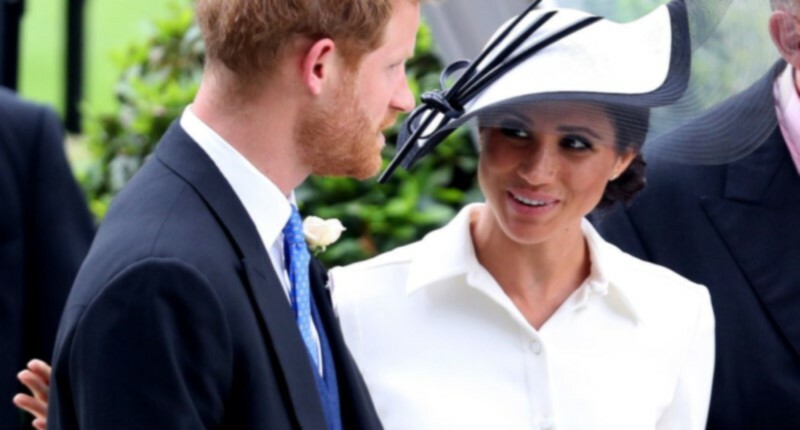 Her love is like a ride in the fast lane, and so Duchess Meghan (36) did not have much time to deal with the customs and procedures of the Royal Family. Now the former actress relies entirely on her husband Harry (33). He takes his sweetheart by the hand and explains all the details. This happened on the first day of the horse races in Ascot on Tuesday (19 June). Meghan is visibly nervous, and she should hand over the medals to the victorious jockeys. To get a bit of a sense of security, she keeps reaching for Harry’s hand, clinging to him. The cute scenes you see in the video above. That the Duchess of Sussex ever came to Ascot, is a small sensation. Because her sister-in-law Kate (36) made this only after five years of marriage.